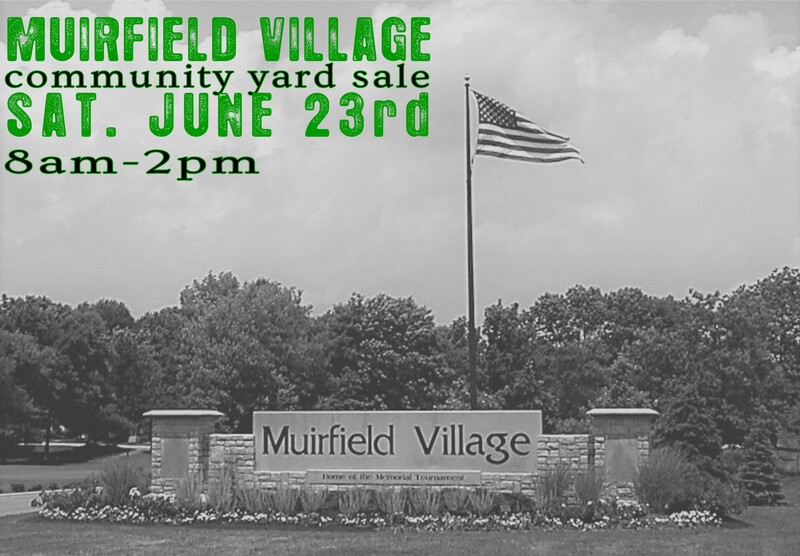 The Muirfield Social Activity Committee (MSAC) would like to invite you to participate in the first Muirfield Community Yard Sale taking place this Saturday, June 23 from 8:00 a.m. to 2:00 p.m. Shop, sell, or both! Would you like to shop? Simply look for balloons on the mailboxes of participants plus signage the day of the sale. As of today, almost 60 households have signed up to participate! Would you like to participate as a seller? There's still time to register! First, sign up here so we know you're participating. Second, be certain to obtain a city-issued yard sale permit, which the City of Dublin (not Muirfield) requires in order to hold a sale. Permits are sold for $5 each Monday-Friday from 8 - 5 at 5800 Shier Rings Road. Read more on the city's website. Third, don't forget to put balloons on your mailbox on Saturday! Each seller should supply their own balloons. We've been advertising the sale on social media and are hoping to have a great turnout. Contact [email protected] with any questions. We hope to see you at the sale as a seller and/or a shopper! On a completely unrelated note, our grounds crew recovered a phone this morning from Lanark Court area. Please call us at 614-889-0922 to describe it and claim it.